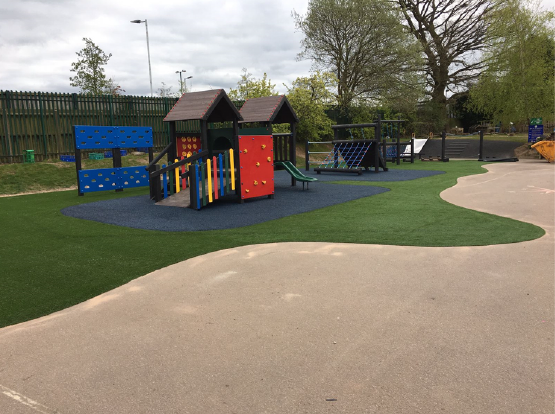 Working closely with the Head Teacher, the children and the Site Manager to ensure the design fitted their requirements as well as providing minimal maintenance solution that would for 15+ years. 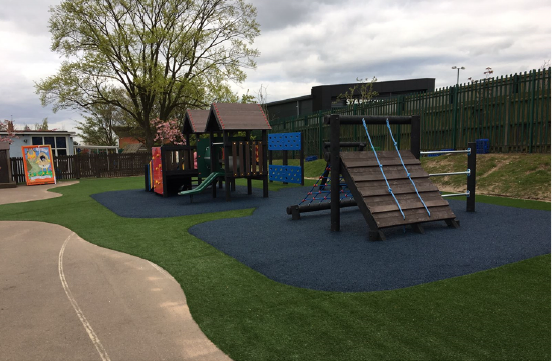 The aim was to provide an area suitable for different age ranges encompassing “play for improvement” – improvement of confidence, balance, team work, imagination and adventure. 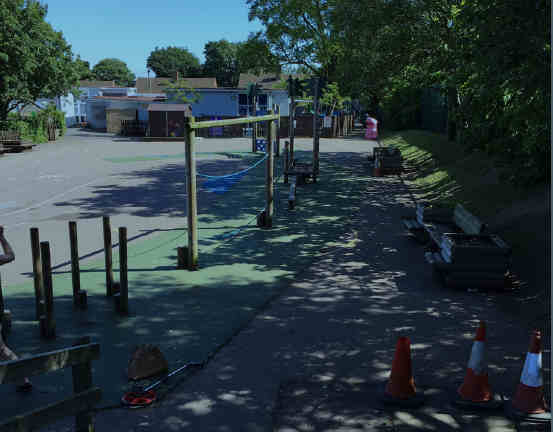 We proposed replacing the redundant timber trim trail and play frame with a new recycled plastic play frames. Also, to replace rotten steps and old synthetic grass with more durable solutions. Full designed and project managed by Great Out Floors. All equipment is manufactured in the UK and installed by the most experienced teams all highly skilled individuals. Remove playframes and all floor coverings. Install recycled plastic play frames with rubber crumb safety surfaces to meet fall from height regulations. Renovate some existing equipment and replace surrounding safety surfaces. 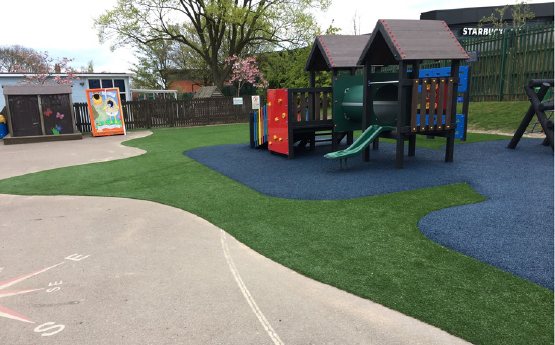 Install synthetic grass around all the new area to ensure an All Season Play space. We provide a solution as seen above that comes a 3 year free maintenance programme.